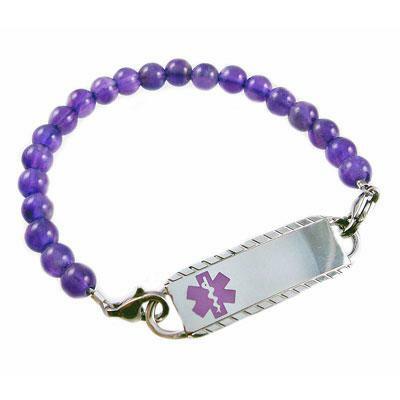 Creative Medical ID Alert Bracelets and stylish jewelry custom engraved for men, women, children - Feel secure in a beaded amethyst bracelet from Creative Medical ID. Our Amethyst beaded Mala bracelet is made with genuine 6mm amethyst gemstone beads, perfect on its own or layered with other bracelets! Amethyst is purple quartz, and is a meditative and calming stone. 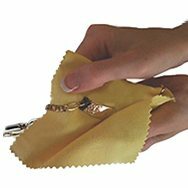 It works in the emotional, spiritual, and physical planes to provide calm, balance, patience, and peace.